Combined with excess alcohol consumption, scaldingly hot tea raises relative risk fivefold, says Chinese researchers. An independent review of the latest evidence, published by PHE, suggests at least 20,000 people a year are quitting with the help of e-cigarettes. The report also says they are at least 95% less harmful than smoking. Annual update of Public Health England’s e-cigarette evidence review by leading independent tobacco experts. More could be done to get people to switch to products that are safer than smoking cigarettes, say Public Health England. Although many studies have reported an association between physical inactivity and cancer, this is the first to systematically examine lifetime physical inactivity as an independent risk factor. MinION reads are still considerably less accurate than Illumina sequencing, so this aspect could be improved as well. Nonetheless, this is a truly astonishing accomplishment that indicates what the future of DNA sequencing holds in store. Groundbreaking findings reported in 2017 at oncology conferences and published in prestige scientific journals are summarized in a series of articles published in February 2018 issue of the Nature Reviews Clinical Oncology. A lot of these insights, Hyman argued, were only possible because of the size of SUMMIT, which raises some anxiety about how the results of larger umbrella-protocol trials like NCI-MATCH can be best analyzed and received. One of the grand prize winners, though, is board member Robert Nelsen, who helped get the whole thing going, raised hundreds of millions of dollars and pointed Juno into the front ranks of the CAR-T leaders, never losing faith even in the dark days of their lead drug’s lethal implosion during a pivotal study. Overall, I think this is encouraging for adding further credibility to TMB measurement and potentially nivo/ipi for a selected subset of patients with advanced NSCLC, but I feel these results should definitely not lead us to adopt either TMB or nivo/ipi in clinical practice without far more information. Bristol took the unusual step of changing one of the main goals of its study. Clinical trials are like shooting pool: you have to call you shot before you sink it. Bristol says it discussed the change with the Food and Drug Administration, but did not publicly disclose it. As originally designed, the primary analysis of the Checkmate-227 study was not supposed to parse lung cancer patients based on tumor mutation burden status, raising questions about the strength and validity of Bristol’s announcement. Bristol-Myers shares immediately surged about 3%, while AstraZeneca and Merck stock pointed down 1.5% in pre-market trading. The win here is also a plus for Foundation Medicine $FMI, which provided the test used to pick patients with a high TMB. 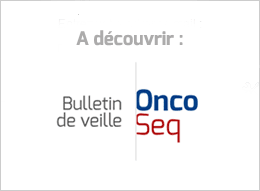 Trial will continue as planned to assess the Opdivo plus Yervoy combination for the other co-primary endpoint of overall survival in patients whose tumors express PD-L1. The recent increase in positive NICE recommendations for routine use likely reflects increased willingness by the industry to offer their products at a cost-effective price at launch to secure long-term availability in the NHS. To develop the model, the researchers analyzed data from two clinical trials of PD-L1 inhibitor atezolizumab in people with advanced urothelial cancer that worsened despite cisplatin chemotherapy, which is the standard treatment for this disease. PROSPER enrolled patients with prostate cancer that had progressed, based on a rising prostate-specific antigen (PSA) level despite androgen deprivation therapy (ADT), but who had no symptoms and no prior or present evidence of metastatic disease. The trial evaluated enzalutamide at a dose of 160 mg taken orally once daily plus ADT, versus placebo plus ADT. The SPARTAN Study was conducted at 332 institutions worldwide and enrolled 1,207 men. The STAMPEDE (Systemic Therapy in Advancing or Metastatic Prostate Cancer: Evaluation of Drug Efficacy) trial has now enrolled over 9,000 men with advanced (non-metastatic and metastatic) prostate cancer since October 2005 and has looked at nearly a dozen different drugs to treat the disease. The data from a highly anticipated study released on Monday showed that it took 36.6 months for the disease to spread to other parts of the body in patients who received Xtandi plus androgen deprivation therapy (ADT), a measure known as median metastasis-free survival. That compared with 14.7 months for ADT alone, a highly statistically significant difference of nearly two years. Both companies posted their abstracts being reviewed at ASCO’s Genitourinary Cancers Symposium Monday evening. And while scientists frown on comparing data from two different studies, you can bet that analysts will be lining up the results side-by-side to see who will come out ahead. The difference in overall survival between the two treatment regimens was not statistically significant at this early interim analysis. Overall survival data are still immature, and the authors are planning an updated analysis as more data accrues. Those who received TECENTRIQ plus Avastin had a 26-percent reduced risk of disease worsening or death (PFS) compared to people treated with sunitinib. The latest Phase III study tested Tecentriq (atezolizumab) with Avastin (bevacizumab) against advanced or metastatic renal cell carcinoma or kidney cancer. Cancer science is shaped continuously by new technologies and new findings, and as such the Convergence & Technologies section will highlight enabling new technologies and the convergence of different disciplines to solve key cancer research questions. Big data is now a reality in cancer research, and the new Resource Reports section will allow for the description of data resources that are available to cancer researchers. The hype is coming from the press releases issued by the universities themselves. Here’s their analysis of the problem, but before anyone starts feeling superior to university press offices, it turns out that the same problem exists with the PR put out by journals and publishers.